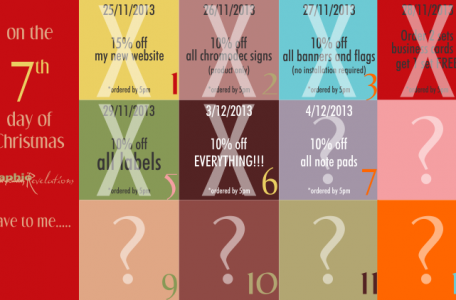 On the 7th day of Christmas Graphic Revelations gave to me….. 10% off ALL NOTE PADS! Gift valid on all sizes and colours Merry Christmas from Team Graphic Revelations THE SMALL PRINT: You must redeem this gift by 5PM to qualify. This gift will not be repeated. 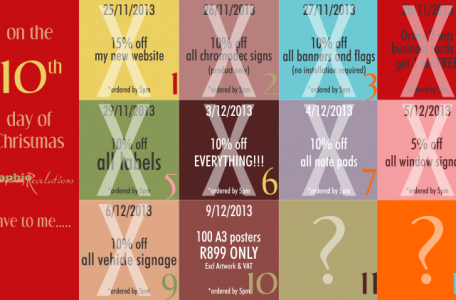 You cannot use this gift in conjunction with another promotion. 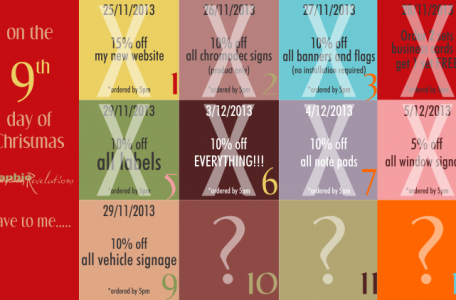 On the 6th day of Christmas Graphic Revelations gave to me….. 10% off EVERYTHING! 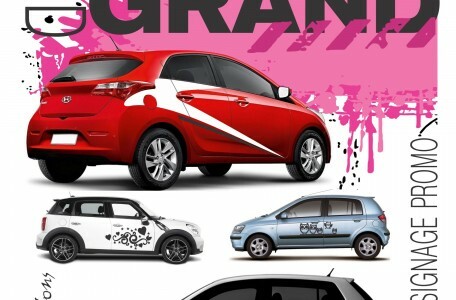 PLUS!!!! 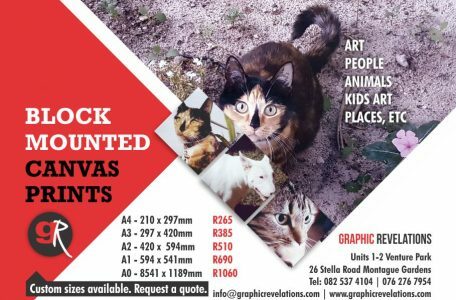 Today’s special is valid till 5AM 4 December 2014 so you can sleep on it 😉 Just to make up for yesterday Merry Christmas from Team Graphic Revelations THE SMALL PRINT: You must redeem this gift by 5AM TOMOROW to qualify. This gift will not be repeated. You cannot use this gift in conjunction with another promotion. Applies to new orders only. 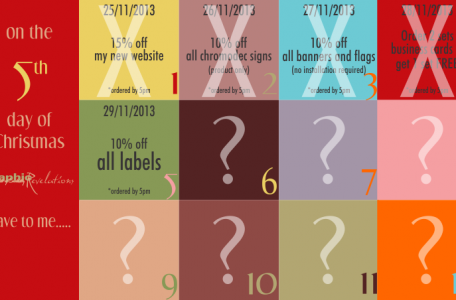 On the 5th day of Christmas Graphic Revelations gave to me….. 10% off ALL LABELS! 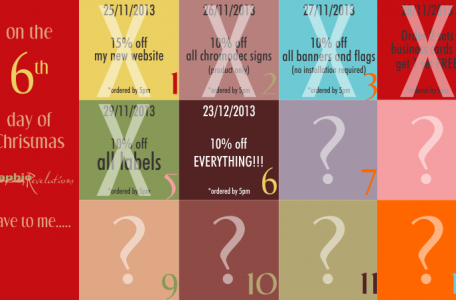 Gift is valid on vinyl AND paper labels. 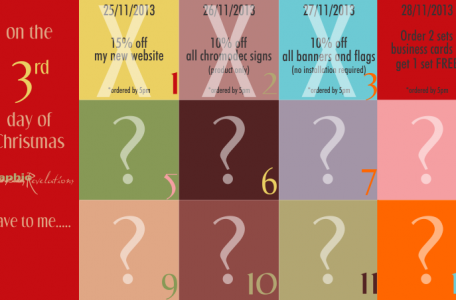 Merry Christmas from Team Graphic Revelations THE SMALL PRINT: You must redeem this gift by 5pm today to qualify. This gift will not be repeated. You cannot use this gift in conjunction with another promotion. New artwork quoted separately. 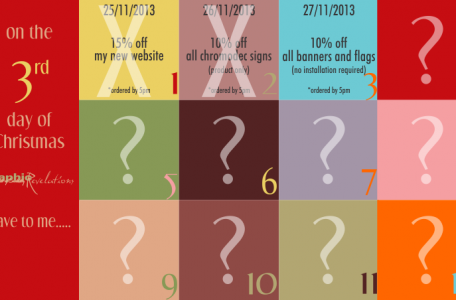 On the 3rd day of Christmas Graphic Revelations gave to me….. 10% off all banners and flags! (no installation required) Merry Christmas from Team Graphic Revelations THE SMALL PRINT: You must redeem this gift by 5pm today to qualify. This gift will not be repeated. You cannot use this gift in conjunction with another promotion.